What do you do after a day of traveling around, no proper lunch and drenched in rainwater? 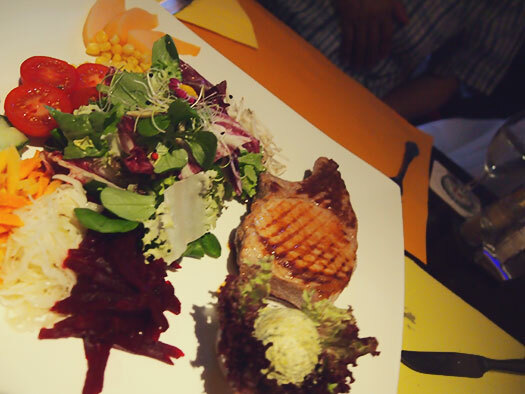 You seek out a nice cosy restaurant, warm and hopefully, some good food. That’s what I did, or rather, the whole family did. I read about this restaurant online and since we were in the area, we should drop by for a visit. 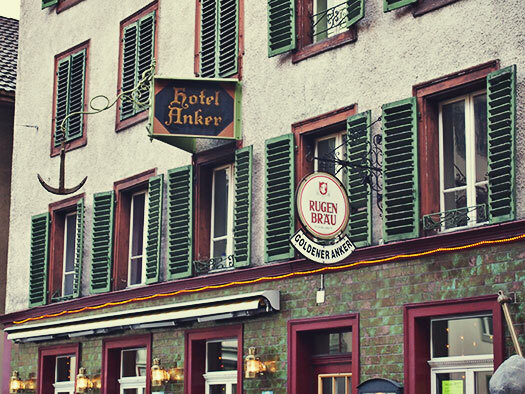 The restaurant is located below the Hotel Anker. I think they are part of the same establishment. 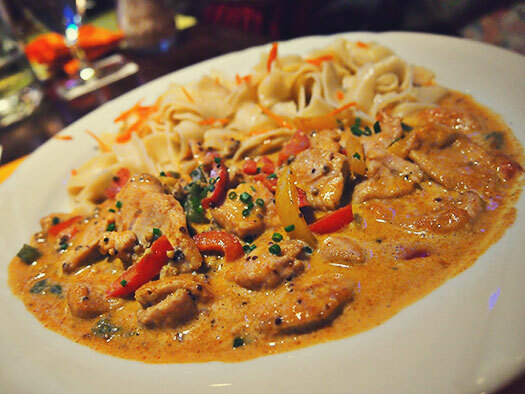 No reservations needed. At least we didn’t have one. The place was big enough to entertain a lot of guests and they even have a pool table and a bar. I would say, a typical hotel-owned restaurant. It was warm. The staff were friendly and the menu came in two languages. This dish was recommended by the online reviews that I read. Despite the looks, it wasn’t that spicy at all. The veal was well cooked and the sauce was something different. Creamy with a tinge of spice. No wonder it was the recommended dish. I think this is the lamb fillet. 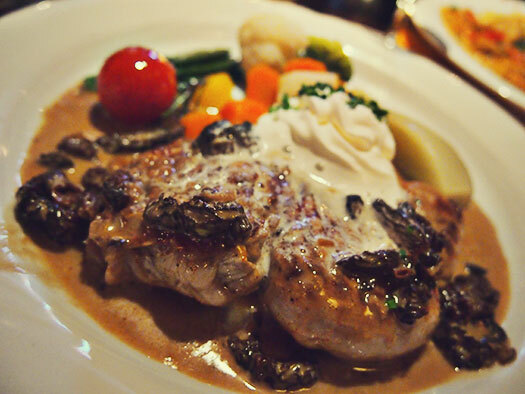 Since there were six of us, we get to order and try out five dishes, but one was a repeat of the veal with morel sauce. This, if I’m not mistaken, is the lamb fillet and a side dish of vegetables, legumes and other leafy things. Mom just can’t eat without rice. This is perched fish from the lakes. I’m not sure which lake they meant, it could have been Lake Thun or Lake Brienz. Anyway, Mom just have to eat with rice. She can’t go a day without rice so she got what she wished. 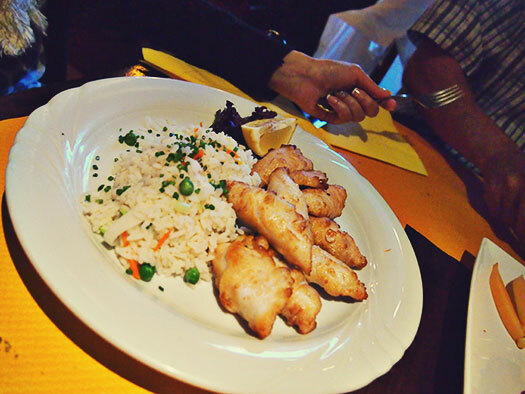 The fish tasted fresh, I guess it was just caught in the morning and since it came fillet style, you don’t have to worry about the tiny fish bones. I like my steak well done and this didn’t disappoint. The portion was huge and the sauce was juicy enough to match the tenderized beef. Overall, I think the restaurant delivered what we wanted. Whenever I go on tours, all I wanted was to have a nice warm meal, without paying through the nose and satisfying on the stomach. This place did just that. We were able to kick back, enjoy the food, talked for awhile in a nice and quiet environment. The place is not too far from the town center so it’s within walking distance. 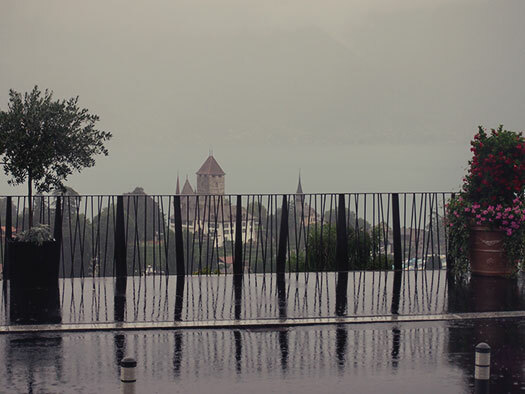 While we were waiting for the train to Spiez, rain began to fall. The Bern train station could be considered as a major hub for the railways in Switzerland. So be sure to get your platform correct, otherwise it would be a hell of journey to find your right platform, especially when the trains are on time, ALL the time. The family were looking at me, I just shrugged my shoulders. Rain was predicted by the weather forecast but our remaining journey will be in the boat, so it wouldn’t do much harm, except that we might not get to see everything clearly. Looking at the picture will tell you how bad the rain was. This was a deluge, it was like the skies opened and rain just came down in torrents. We had a boat to catch. Unfortunately, it is about 1km away from us. Time to adorn ourselves with our raincoats and step out into the rain. Looking for a simple, yet addictive game to while away your time while doing nothing on your desktop? 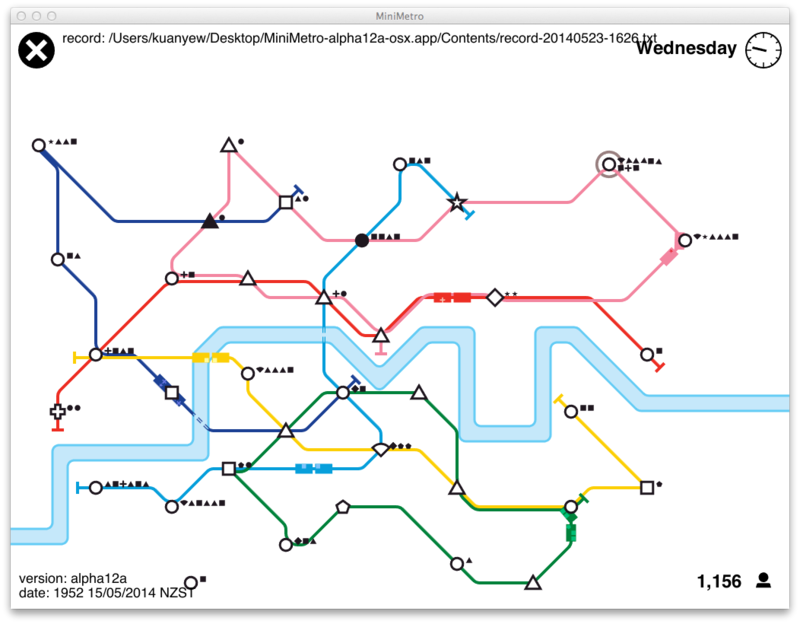 Instead of watching YouTube, try playing Mini Metro by DinoPoloClub. Just connect the dots on your screen and transfer the various shapes as you would on the Tube, the Underground, the Metro, the MTR, the MRT and etc. Once every week, there will be available upgrades in the form of extra lines, bigger stations and tunnels. Make your choice and try to beat the game. My best effort so far! You lose the game when the waiting time is too long or that you failed to connect one of the stations. The number on the bottom right corner is the number of successful transfers, or you could say that’s your points total. There’s only one thing bad about this game, it is a game that’s design to make sure you lose. If you’re really really interested, you could pre-order the game. The developers are trying to market the game on all platforms. This is probably the most underrated cartoon when I was growing up as a kid in the 80s. MASK. Or Mobile Armored Strike Kommand. 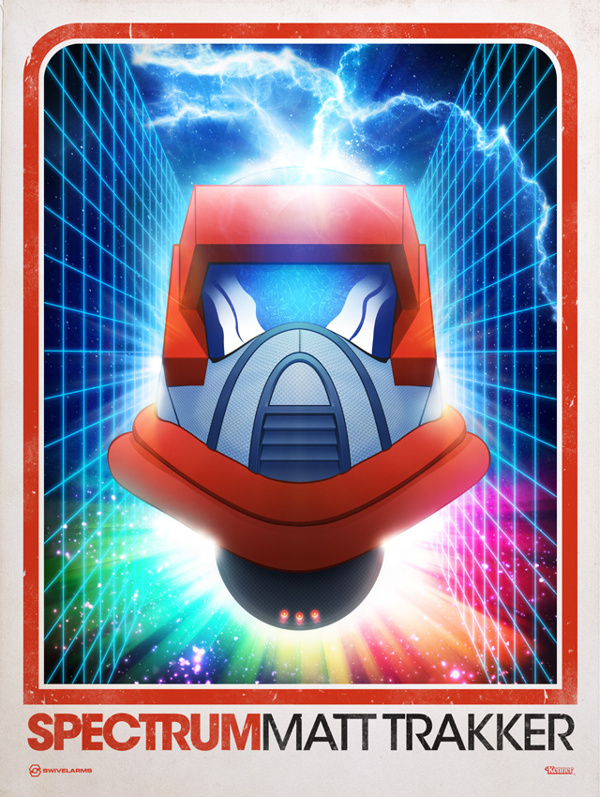 Notice the misspelled letter, it was purposely done because it’s the character’s mask that gives them power against MAYHEM. Anyone remembered? This is me telling you everything by saying nothing. Most of you might have played this game before so I won’t bother with the details on how to play the game. What I wanted to show was the Kickstarter project that I backed almost a year ago has finally came to fruition. My Hexels were delivered just in time for Mothers’ Day weekend. And the family broke out the game and gave it a try. Plus a review of some sort. 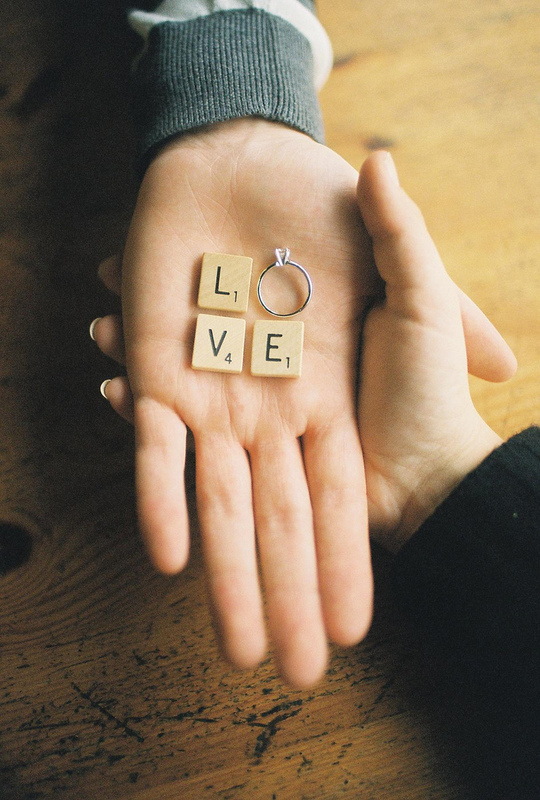 A word before looking at the pictures. 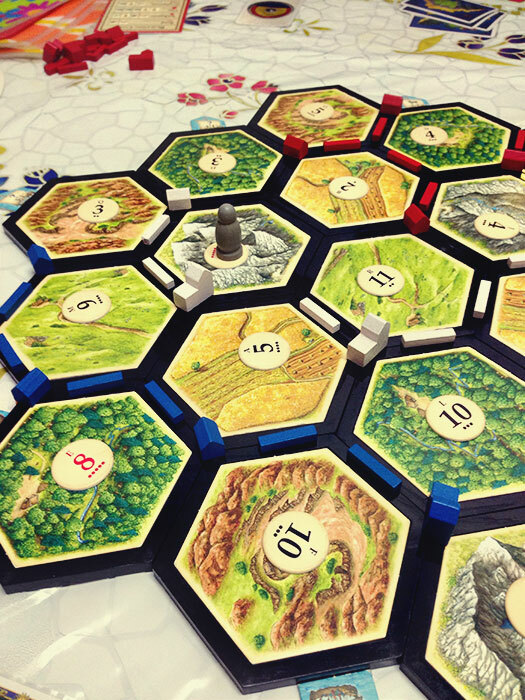 As a Catan fan, you might be surprised at the layout of the game but let me explain further. 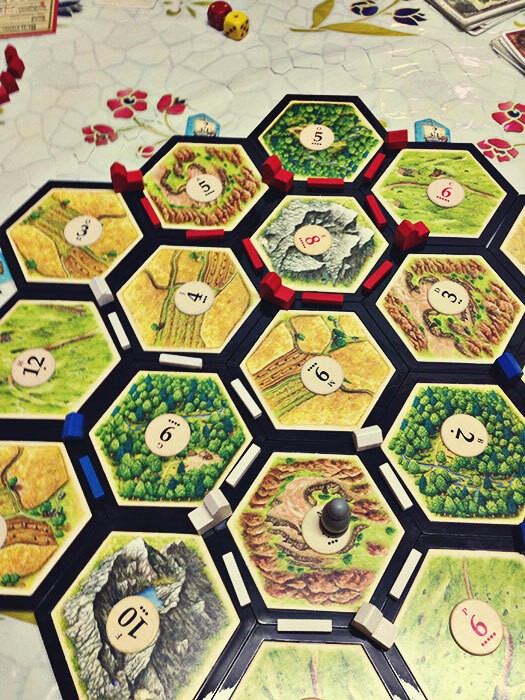 Our family has decided that we will play to a total of 12 victory points in order to win (Normal : 10 points) and that the numbered tiles are placed face-down prior to the establishment of the settlements (Normal: they are placed face-up). That’s how we played it at home. And yes, we have read the rules and we have played the ‘normal’ version countless of times. 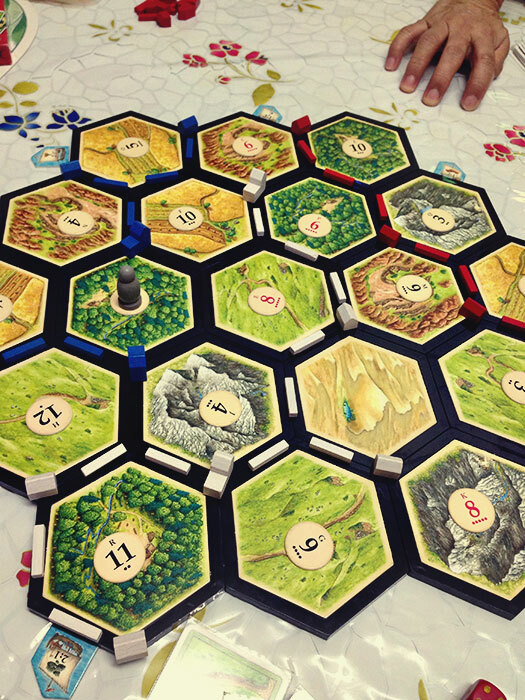 Almost every Catan player would have faced the difficulty in setting up the game board, hence the introduction of the Hexels. They are magnetic pieces which makes the setting up of the board as easy as you would have imagined it should be. We had absolutely no trouble at all and the pieces stick into place nicely. 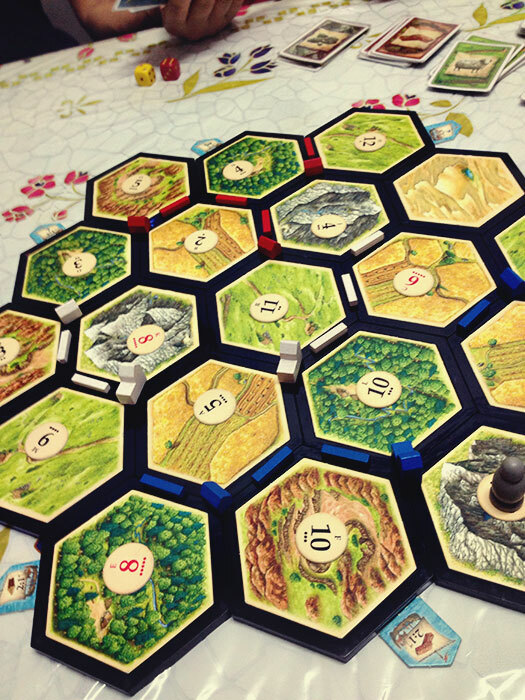 Not to mention that the raised edges makes placing settlements and roads fun. Since we were celebrating Mothers’ Day, we conspired to let her win. Although usually, she does play a pretty mean game herself. But in the spirit of the day, we gave her some leeway. Including not using the robber on her and not blocking her pieces on the gameboard. There was, however, one particular game which was pretty tight till the last round, in which it was up for grabs right until the final round. Unfortunately for me, I was just a step away from winning. Final Standings at the end of the game. Mom was in Red and I was playing as White. Final round when it was my turn, I already had Longest Road (2 VP) and my settlements gave me another 6 Victory Points (VP). I exchanged three Development Cards to give me 1 VP and 2 soldiers. 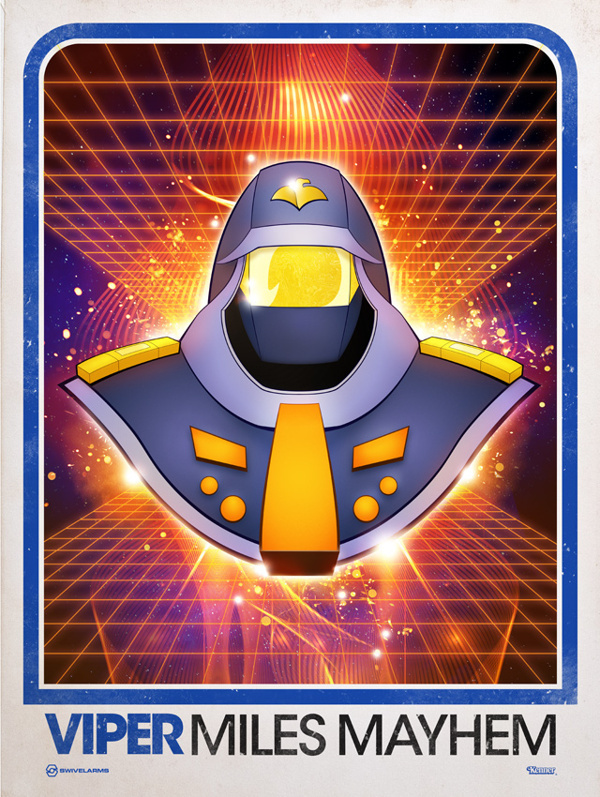 I had used three soldiers and have another 2 VP in the form of cards. If I could last another round, I would have used the remaining two soldiers to give me 2 VP for Biggest Army. Red already had 9 VP on the board and Mom had the Biggest Army for a total of 11 VP before her turn. She had one remaining unused Development Card. She threw a 3 and added another two roads before revealing her unused Development Card — a Monopoly. She monopolized all the wheat and used them to create another settlement, giving her the Longest Road (2 VP), the Biggest Army (2 VP) and 10 VP on the board. What a game! The last game was won by me, by a mile! I was white by the way. The best part about working in the big city, you get to have custom-made cake. 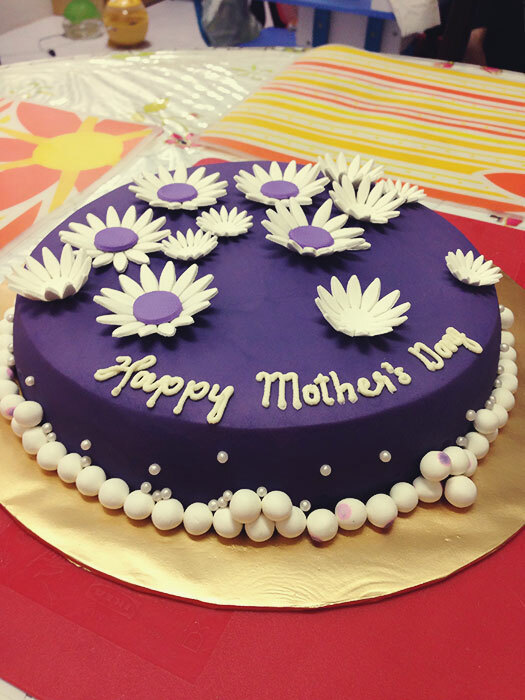 Happy Mothers’ Day!